If you like to know where your food comes from and the convenience of always having your favorite cuts of meat in the freezer, then try custom processing. We are one of the few processors that vacuum seal all of our custom orders. Concerns for freezer burn are virtually eliminated. 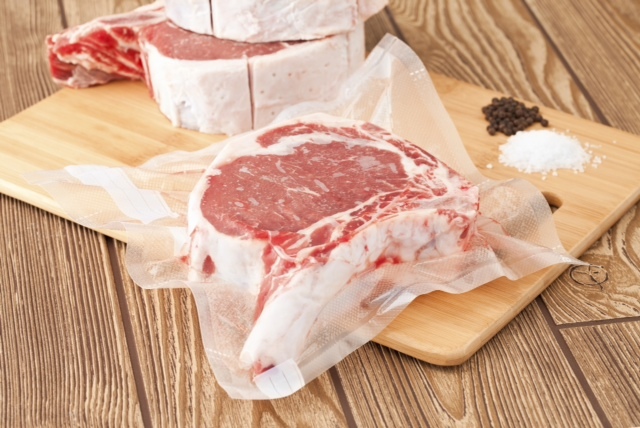 A longer shelf life when thawed. And best of all, there is no mess when thawing since all the juices are sealed inside. Another benefit of custom processing is being able to specify exactly how you want your meat cut. If you need help with making those decisions please give us a call or download these forms to help you. For reference, below are links showing the most popular beef & pork cuts. Note that custom processing is very popular and our schedule is typically booked about 6-8 weeks in advance so please consider that when planning for your needs.